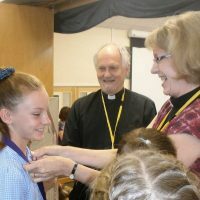 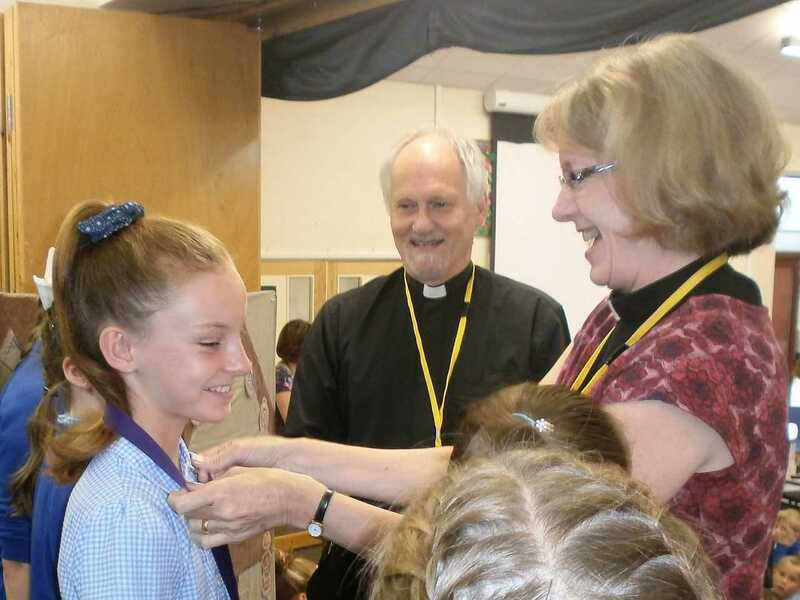 The Archdeacon of Gloucester Jackie Searle had the honor of presenting awards at Hardwicke Parochial Primary Academy. 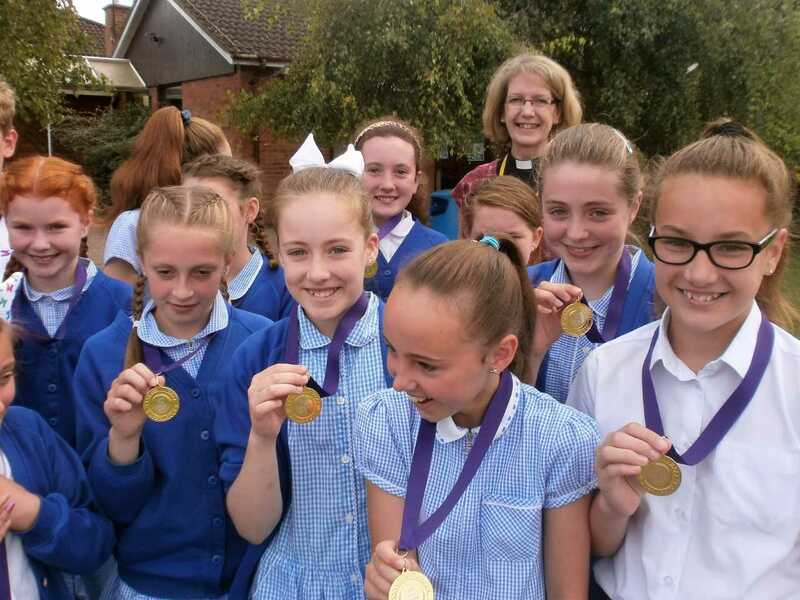 Archdeacon Jackie joined Father Andrew and the schools ‘Lighting the Candle’ worship team. 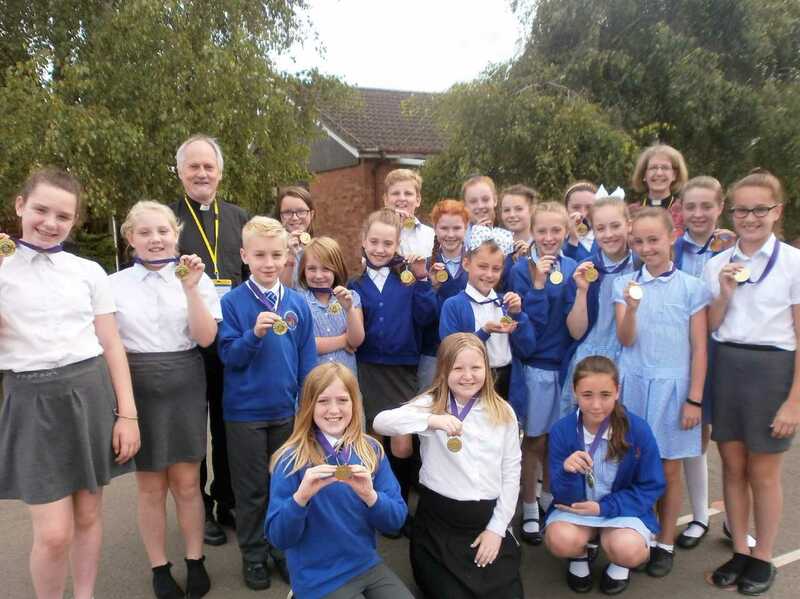 She chatted with the twenty one pupils about their year long spiritual journey through Collective Worship before presenting their well deserved gold medals. 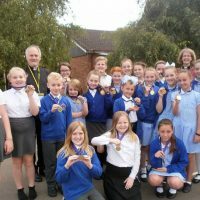 The children enjoyed a gold award breakfast too. 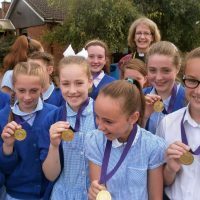 Well done to all the children!